Whether you’re on your way to the Alps, to a business meeting, or simply looking to unwind, a day or two in this cosmopolitan city is the perfect holiday. Here’s where to stay in Geneva. If you want to explore Geneva’s cultural and historical highlights easily, stay in the Old Town. It’s a picturesque and peaceful part of the city, close to historic buildings, art galleries, and plenty of viewpoints. If you’re looking for amazing views, upscale dining, and luxury shopping, stay along the Quai de Mont Blanc. Geneva does luxury exceptionally well, so if you’re up for a fancy holiday, treat yourself to views of Lake Geneva and Mont Blanc. You’ll be a leisurely stroll away from the city’s best restaurants and shops. If you want a relaxed stay away from the crowds, stay in Eaux-Vives. The neighborhood lies on the quiet side of the lake and has a cozy, casual vibe that will make you feel right at home in Geneva. You’ll get to explore plenty of green spaces, boutiques, and off-the-radar restaurants around the neighborhood as well. If you’re looking for a gritty, inner-city vibe, stay in Plainpalais. And yes, by “gritty” we mean budget. Geneva is not a cheap destination, but it is possible to look for affordable accommodations in an interesting neighborhood. Plainpalais is home to university students, expats, and the city’s largest flea market, so if you enjoy diversity, quirky cafes, and a great bargain, this is your spot. Use this map to plan your holiday. You’ll find the essential landmarks and attractions in the city, as well as the best neighborhoods and hotels in Geneva. Cobbled streets, winding alleys, and old buildings – if you love the old-world charm of Europe, you’ll feel right at home in Geneva’s Old Town. It’s a picturesque and peaceful part of the city, close to historic buildings, art galleries, and plenty of viewpoints. But unlike the old towns of many European cities, Geneva’s old town is not teeming with tourists and touts. Despite being in the center, it’s quite a relaxing place to explore and stay in. Stay in the picturesque Old Town of Geneva and enjoy the city’s cobbled streets, historic sites, and delicious fondue! ★Travelers’ Pick: Les Armures is a charming hotel right in the center of Geneva’s old town and the perfect starting point for adventures around the city. It’s a small hotel with especially friendly staff and an intimate atmosphere, comfortable and well-equipped rooms, plus an in-house restaurant serving Swiss cuisine and one of the best fondues in the city! If you love staying in a picturesque and peaceful area, you’ll love Les Armures. Rooms start at EUR 260. A close runner-up would be Hotel de la Cigogne, also in a great spot in the old town. It exudes old-world charm but combined with modern amenities and excellent staff. If you prefer serviced apartments, though, Fraser Suites may be more up your alley. Their spacious, fully-furnished apartments have most of what you’ll need to feel at home in Geneva. Plush beds, luxurious décor, and breathtaking views of Lake Geneva and Mont Blanc… this is how all holidays in Geneva should begin. You’ll find the best luxury hotels with the most upscale restaurants along the Quai de Mont Blanc. Whether you’re up for power walks along the lake, a fruitful day of shopping, or a rejuvenating staycation, these posh lakeside hotels are your perfect starting point. In Geneva for a luxurious stay, a day of shopping, and upscale dining? Stay in one of the city’s luxurious lakeside hotels. ★Travelers’ Pick: Hotel d’Anglettere wins as Geneva’s most luxurious hotel. This gorgeous hotel right by Lake Geneva has a lovely view, fantastic rooms and amenities, and top-notch service – and it’s right in the center of Geneva’s upscale shopping district. It’s the ideal place if you’re in Geneva for a honeymoon or a special occasion, or just craving a splurge. Rooms start at EUR 500. Other luxury hotels along the Quai de Mont Blanc are Hotel Beau Rivage and the Ritz-Carlton. If you’re with family or traveling with a small group, Swiss Luxury Apartments are a short walk to the lake and have apartments that can fit up to six. Looking to experience a side of Geneva that’s just outside the main tourist areas? Perhaps somewhere you could enjoy soothing green spaces, quiet restaurants, and boutique shops just like the locals? Your Geneva home is in the Quartier des Eaux-Vives, the area on the “other” side of the lake. You’ll still be within walking distance of the old town and the shopping districts, but you’ll be enjoying a more “local” experience. And yes, hotels here also come with a friendlier price tag, letting you enjoy Geneva just a little bit more. Live like a local and enjoy Geneva’s quiet, green, and cozy side at Quartier des Eaux-Vives. You’ll be just at the fringe of the city’s touristy areas, letting you enjoy a more laidback holiday, and yes – a friendlier price tag. If you’re with family or a group, try to book Triplex Geneva Jet d’eau, a spacious, fully-furnished apartment a few blocks from the lake. Also check out Sagitta Swiss Quality Hotel, which gives you the best of both worlds – spacious, furnished apartments with hotel-style amenities. Geneva is definitely not a cheap destination by any stretch. Most travelers come here for business, shopping, and leisure, so most hotels don’t really cater to backpackers. That said, the city does have its share of students and expats who sure know where to find cheap accommodations. And they live mostly in Plainpalais, a neighborhood that lies a good 2 kilometers from the lakeside districts. Apart from a more affordable hotel, you’ll also get to enjoy the nearby Carouge, a neighborhood that has a chic Mediterranean vibe. Here’s where to stay in Geneva on a budget: Residence Dizerens (studios start at EUR 100) and Hotel Leprince (rooms start at EUR 100). Ready to plan your trip? Here’s our guide to spending 3 days (or more!) in Geneva. Getting around – Geneva is extremely walkable, and you can get to most of the essential sights on foot. To get to farther locations, you can use the Geneva Free Public Transport Card that hotels give to their guests to ride the Unireso buses, trains, and trams for free. Use TPG or SBB to find your way around the city. You can also call for an Uber or rent a bike. 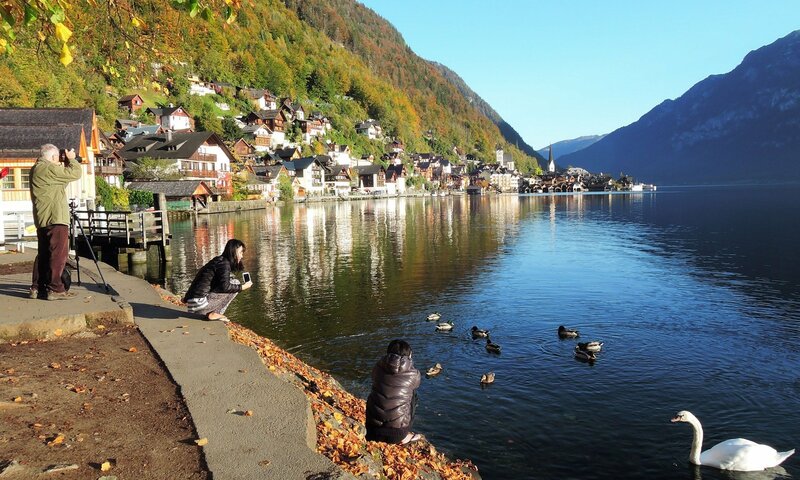 For trips out of the city, you can rent a car and experience Switzerland’s breathtaking mountain roads firsthand. Staying connected – You’ll find plenty of free hotspots around the city, but if you want constant connection, your best option is getting a Lycamobile SIM card (look for stores around your hotel here) and topping it up with as little as CHF 3.25 for 500 MB of data. You can check all the data bundles here – I got the 2 GB data bundle for CHF 9.90, and it was plenty for a 5-day stay. Remember that if you have an EU SIM card, the no-roaming charges rule does not apply in Switzerland, so make sure to turn off your cellular data to avoid huge roaming fees! Save on conversion fees – Another great way to save while in Switzerland (and paying in Swiss francs) is to have a TransferWise Borderless Mastercard, which lets you enjoy the least amount of conversion fees. I never needed cash while on holiday in Geneva and used my TransferWise debit card everywhere, but even if you do want to have cash on hand, it’s easy to withdraw CHF from the Swiss bank ATMs you’ll find at almost every corner. Most Swiss ATMs do not charge usage fees so simply convert your money in TransferWise to CHF and enjoy! I hope this guide helps you plan your trip to Geneva, Switzerland! It’s truly a fantastic mix of a cosmopolitan city set in a gorgeous lakeside location and the perfect destination for a relaxing and luxurious holiday. If you found this guide useful, please share with your friends. If you need more information, get in touch and I’ll do my best to help you out.